WE CAN BE BETTER TOGETHER. 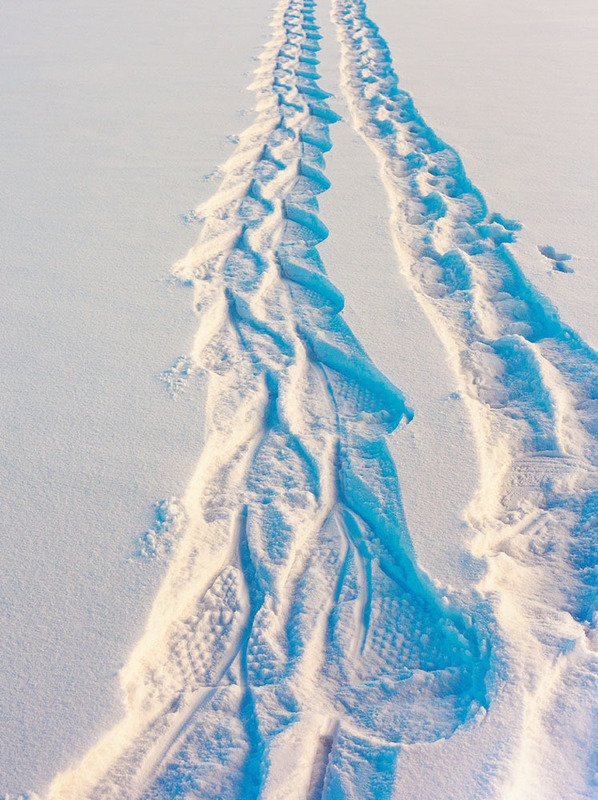 WHAT ARE THE FIRST STEPS? When I was a little girl, there were signs in the largest town near my village that said, “No Indians Allowed.” Canada certainly has come a long way in my lifetime – but we have a way to go yet. I’d like to think we as Canadians can walk together on this journey because I believe we can be better together. Before we start this journey, we must talk about our first steps. Reconciliation means living in a right relationship. Regarding Indigenous relations Canada likes to pride itself that we are – at the least – better than the United States. That may be true thanks to the residential school survivors and their landmark court case which brought Canada’s dark secret out into the open. Before 2008 most Canadians had never heard of the residential schools, or if they did, knew little of the truth. Unfortunately this means we are here because of the court system. Canada did not suddenly decide to do the right thing and make things right for the residential school survivors and all Indigenous people. It was because of a Supreme Court decision initiated by Indigenous survivors. The reason we are talking about reconciliation is because of the residential school survivors who decided as a part of their settlement they wanted Truth and Reconciliation events across Canada. They courageously wanted Canada to hear and understand their stories, and they also wanted reconciliation. The victims of brutal crimes asked for reconciliation. There’s some grace. In writing this I feel like there should be a selah placed here so we take some time to reflect on this. Reconciliation occurs between two equals. We must talk as colleagues. In the past Canada’s relationship with Indigenous people was more like an overbearing, disgruntled manager taking care of helpless children, especially with the Indian Act. But listen again. Listen with your heart wide open because that is the only way you will hear us. IT TAKES A GREAT HUMILITY TO WALK ALONGSIDE AND KNOW WE CAN LEARN FROM ONE ANOTHER. Another giant step toward reconciliation is to be willing to learn from Indigenous people. It takes a great humility to walk alongside and know we can learn from one another. For a start please read the Truth and Reconciliation Commission’s 94 Calls to Action (www.TRC.ca) and the United Nations Declaration on the Rights of Indigenous Peoples (www.UN.org). What can non-Indigenous people learn from Indigenous people? There is not enough space in this article to fully respond except to give a couple of examples. One value we hold is related to clocks. There have been studies on the meaning of time to different cultures (Ministering Cross-Culturally by Sherwood G. Lingenfelter, for example, now in its third edition from Baker Academic). For Euro-Canadians being on time is a high value. Most Indigenous people are time-conscious as well, but there are some meetings that won’t start on time. It is during these in-between moments we see the Indigenous value of relationship over agenda. It helps us to walk with grace. The most important value of Indigenous people is the land. One of my favourite elders, the late Cecile Ketlo, said in 2008 at a Nadleh youth meeting in B.C., “It’s about the land. It’s always about the land.” I have felt the truth of those words deep in my heart because I have always loved Nadleh (an area in what is now called north central British Columbia). My grandpa’s house is right beside the river, looking toward our mountain. I am connected to this land in a way I cannot explain except that the land has spoken with me my whole life. And I have been listening. Our people say we have been on the land since time immemorial. For as long as anyone can remember. Forever. Oral history tells us Creator placed us on our land. That sounds like Acts 17. Since my people have been here in Nadleh since time immemorial, then the land, in a scientific sense, is literally made of my ancestors. One day when I cross over to the spirit world, I too will be buried in Nadleh, and the land will do its work. Then I will become a part of the land. From dust we were created and to dust we shall return. This is sacred ground. This is one of the many reasons we are so driven to watch over and protect this land. It does seem to me the pendulum is swinging toward honouring Indigenous people in Canada. 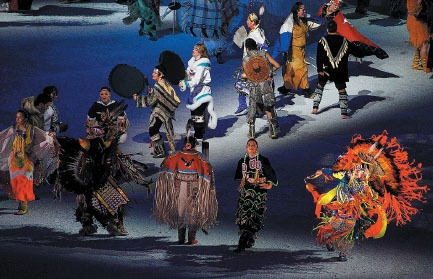 We saw this during the 2010 Winter Olympics in Vancouver when Indigenous people were given the responsibility for leading the opening ceremony. What an unprecedented day that was. This pendulum swing makes some Canadians nervous because it seems Indigenous people are getting undeserved special treatment. The exact opposite happened to Indigenous people for over 500 years (depending on where you live in Canada), so maybe we should let the pendulum sit in the honour position for the same number of years just to make things truly equal. ULTIMATELY WE LONG FOR A BETTER DAY FOR OUR CHILDREN AND GRAND-CHILDREN. The last first step is going to take a few years. Just as there cannot be an apology without a change in behaviour, there cannot be reconciliation without restitution. Restitution means wrongs acknowledged are made right, and what was stolen is given back. Restitution is a legal term which describes the act of restoration. What will it take to restore an entire people group from sea to sea to sea? The Indigenous people of Canada were decimated by disease and traumatized at the loss of entire villages. We were never conquered, but overrun by settlers who wrongly promised “free land.” Our land boundaries have shrunk consistently as they were redrawn by governments. These land titles and rights to land are consistently challenged to this day. We have struggled under oppressive governmental mandates to “kill the Indian and save the child” (the wording of a 19th century American military officer that sums up Canadian attitudes just as well). Reading through that last paragraph may be in itself an act of reconciliation. In fact reading this article might be an act of reconciliation. But it can’t stop with simply learning about a problem. We must now act. Someone (in a church, by the way) asked me, “Just what do you people want anyway?” Well first, maybe don’t call us “you people.” And please learn about us so you can overcome your misconceptions. There are so many stereotypes of Indigenous people. They are dangerous to us – our men, women and children. Let’s just stop that nonsense. Let’s treat everyone the way we want to be treated and give every person we meet a chance to prove us right by jumping to the best expectation first. We Indigenous people actually expect a lot from Canada, because a lot was taken from us, and a burden was placed on us we have carried for centuries. We expect Canada will negotiate government to government, ours to theirs. We expect healing of our identity that has been so shattered, mostly by the residential schools and the Sixties Scoop, but also by the misconceptions of our people passed down from generation to generation. That misconception is racism. Our desires are best summarized in the TRC Calls to Action and UNDRIP which were written by Indigenous scholars, lawyers and leaders. Tremendous thought went into those documents and they are worthy of our attention. We are not asking for any more than what is rightfully and respectfully ours. Justice is an attribute of Creator who walked in human form to reconcile God and man, and who will one day make all things right. Our careful steps towards reconciliation together are joining with the heart of our beloved Creator.